GMOs are an unnatural part of our food source. GMOs, or “genetically modified organisms,” are plants or animals that have been genetically engineered with DNA from bacteria, viruses or other plants and animals. These experimental combinations of genes from different species cannot occur in nature or in traditional crossbreeding. Virtually all commercial GMOs are engineered to withstand direct application of herbicide and/or to produce an insecticide. Despite biotech industry promises, none of the GMO traits currently on the market offer increased yield, drought tolerance, enhanced nutrition, or any other consumer benefit. Meanwhile, a growing body of evidence connects GMOs with health problems, environmental damage and violation of farmers’ and consumers’ rights. So what can you do about GMO's? Buy organic foods and Non-GMO labeled foods whenever possible. Educate yourself and your family on eating in a way that preserves our natural resources. Support the Institute for Responsible Technology and the Non-GMO Project. 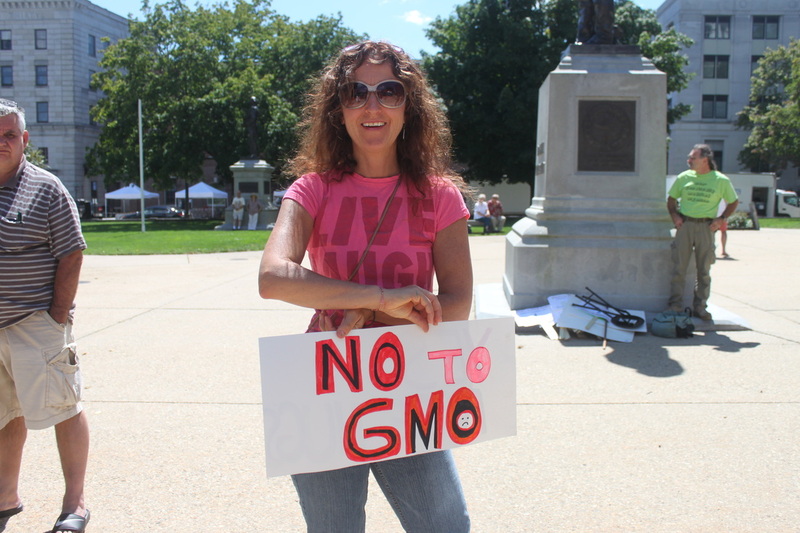 Encourage your political representatives to pass a bill requiring GMO labeling. 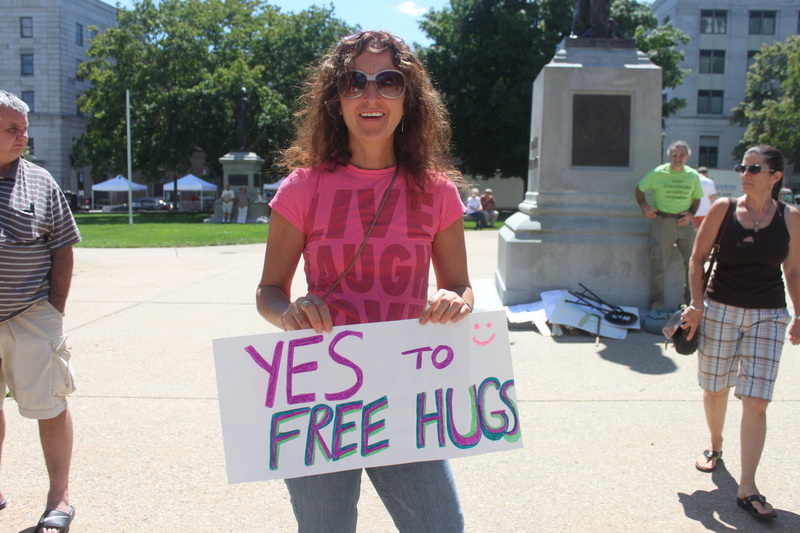 Attend rallies in your area to support GMO product labeling. Food Democracy Now - A grassroots movement of more than 650,000 farmers and citizens dedicated to building a sustainable food system that protects our natural environment, sustains farmers and nourishes families. Click to Join and stay abreast of current issues and legislation that has high impact. The Institute for Responsible Technology - The most comprehensive source of GMO health risk information on the web. Just Label It - Hundreds of partner organizations representing the healthcare community, consumer advocates, farmers, concerned parents, environmentalists, food and farming organizations, businesses, the faith-based community, and many more concerned with protecting the consumer’s right to know have joined together in support of the FDA petition and the mandatory labeling of genetically engineered foods. NH Right to Know GMO - A statewide network of advocates declaring our fundamental right to know if our food contains ingredients derived from Genetically Modified Organisms (GMOs). Non-GMO Project - The Non-GMO Project is a non-profit organization committed to preserving and building the non-GMO food supply, educating consumers, and providing verified non-GMO choices. Serious Green: Movies that Go Beyond Food Inc. Films and documentaries that educate and inform.